Cape Verdean Americans are the only major group of Americans to have made the voyage from Africa to the United States voluntarily. Their homeland, a drought-stricken archipelago off the west coast of Africa, had long been colonized by the Portuguese. Arriving in New England first as crew members of whaling vessels, these Afro-Portuguese immigrants later came as permanent settlers in their own packet ships. They were employed in the cranberry industry, on the docks, and as domestic workers. 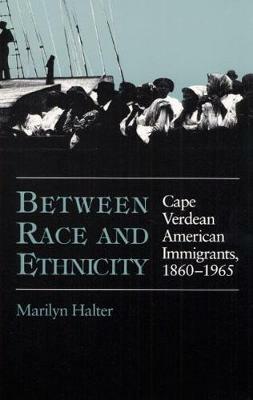 Marilyn Halter combines oral history with analyses of ships' records to create a detailed picture of the history and adaptation patterns of the Cape Verdean Americans, who identified themselves in terms of ethnicity but whose mixed African-European ancestry led their new society to view them as a racial group. Halter emphasizes racial and ethnic identity formation among Cape Verdeans, who adjusted to their new life by setting themselves apart from the African American community while attempting to shrug off white society's exclusionary tactics. Ethnographic analysis of rural life on the bogs of Cape Cod is contrasted with the New Bedford, Massachusetts, urban community to show how the immigrants established their own social and religious groups and maintained their Crioulo customs.